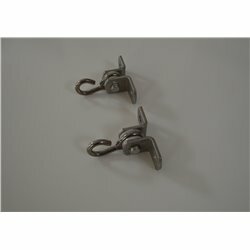 These hooks provide a sturdy base for hanging swings and swing beds. You will need to purchase your own LAG bolts that fit the material material these will be attached it. (IE: Treated Lumer, Untreated lumber, Concrete, Etc. These work well with our comfort springs! 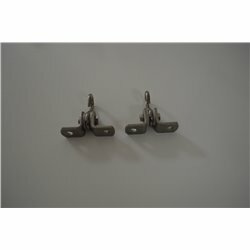 If you are using these to hand a swing that hangs by 2 points, you will only need to purchase 1 set. Each box contains 2 hooks. If you are using these to hang a swing bed, or a swing that requires being hung by 4 points, you will need to purchase 2 sets.